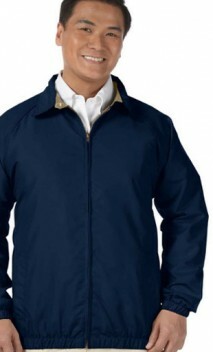 This jacket is wind and water resistant. It has a special zip for easy embroidery and embellishment. 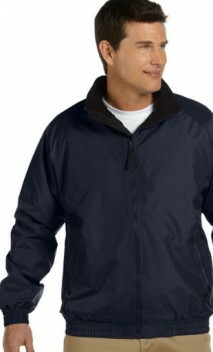 The poly fleece lining holds your body heat while the outer layer gives you protection from the rain and wind. Wear this for three seasons, from late fall through early spring! AXS 30 - 32 19.75" x 27.75" 12" x 12" 12" x 12"
AS 34 - 36 21.75" x 28.5" 12" x 12" 12" x 12"
AM 38 - 40 23.75" x 29.25" 12" x 12" 12" x 12"
AL 42 - 44 25.75" x 30" 12" x 12" 12" x 12"
AXL 46 - 48 27.75" x 30.75" 12" x 12" 12" x 12"
A2X 50 - 52 29.75" x 31.5" 12" x 12" 12" x 12"
A3X 54 - 56 31.75" x 32.5" 12" x 12" 12" x 12"
A4X 58 - 60 33.75" x 33.5" 12" x 12" 12" x 12"
Testimonials from customers who ordered item B669 and left a comment in their survey.